The advent of the web has not only helped to corporate globalization, it has also opened the doors to small businesses in different areas to compete legitimately with the largest companies in its field. Indeed, a good SEO optimization for small business can propel it to the top in the organic search results of Google, at least locally. Search Engine Optimization or “SEO” is the set of techniques used to optimize and promote a website in order to increase the targeted traffic from search engines like Google, Yahoo and Bing. These three major search engines drain alone over 90% of Internet traffic. If they cannot find your website, you miss the opportunity to reach a wider audience and get more targeted visitors. White Hat SEO can be complex, requires a thorough understanding of search engine algorithms, and updates such as Google Panda and Google Penguin, you can still get a good position in a few simple SEO tips. If you want to increase your traffic and make your small business a success, follow these five SEO tips. Choosing the right keywords is one of the most important SEO tips. If you do not choose your keywords wisely based on what your target search is, all your efforts will go to waste. What words or phrases do your potential customers use when searching for your products or services? What problems can your product or service solve? Make a list of these terms and use keyword tools such as the Google AdWords Keyword Planner to determine the keywords for which you have the greatest chance to achieve the best positioning. Content is King! This well-known saying of SEO professionals has never been truer. Offer valuable and unique content to your readers. Include your keywords in your content in low density. More than two keywords in a paragraph of 100 words make your readers confused and create over-optimized content, which can lead search engines to penalize your site. If you are lacking inspiration, content creation is a great way to attract traffic as quality content on the required subject helps in maintaining the interest of the readers. You must also never forget to cite your sources! Structure and simple navigation on your site will help search engine spiders index your pages faster to promote a good ranking. The best way to create a clean and simple structure for the website for your small business is to use a user-friendly CMS for both your visitors and the search engines such as WordPress. Most web-hosting providers allow you to install WordPress with a few clicks on your server. The titles of your pages are very important for the SEO of your site, because they provide search engines with accurate information on the subject. Be sure to include your main keywords in the titles of your pages. Your main keywords are the ones to which you want to get the best positioning. Use <h1>, <h2><h3> for your subtitles and bring up your keywords in bold. These techniques are intended to highlight your keywords so that search engines accurately identify the topic of your content and rank it at the highest level. 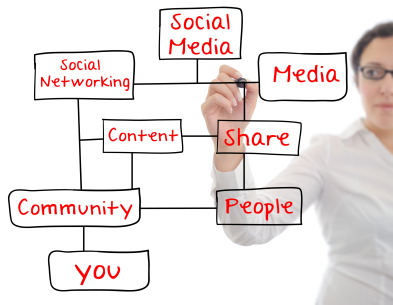 Social networks can generate heavy traffic to your website. 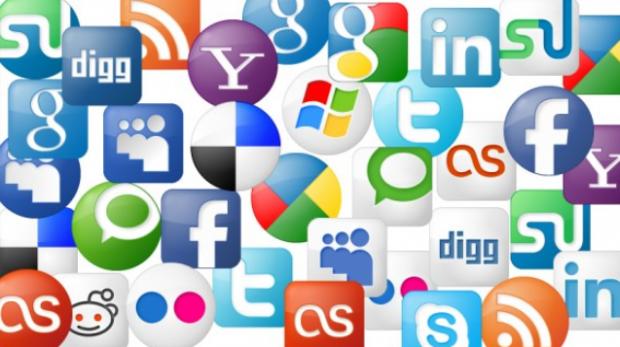 It is not necessary to create a profile on all existing social networks, focus on the popular and most useful points for your company on mediums such as the Facebook, Twitter, LinkedIn, Google Plus and Pinterest, especially if you have beautiful photos to share. Share your content on your profile and encourage your visitors to engage and share your content by inserting social media buttons on your pages. The world of SEO is sometimes like a jungle in constant motion. The good news is that you don’t need to be an expert to climb to the top of the results on Google, Yahoo, or Bing! SEO is all about common sense and perseverance. You can begin by applying these five simple and effective SEO tips. Improve your online visibility, increase your conversion rate and get your piece of the internet pie!